The lovely taste of Caramoon comes from the compound of popped corn and luscious caramel. And it seems that people love it, around the world. Three international awards prove it. Caramoon is inspired by the elegance of the Moon, perfected by the proficiency of Mogyi and that’s why it is so seductive for all of those who are ready for innovations and would like to serve the most exiting snack for their bunch. I look up to the man who fights, works and attains success, because I know what is behind it: a great deal of work. Zoltán Kenyeres Founder and Owner of MOGYI Kft. 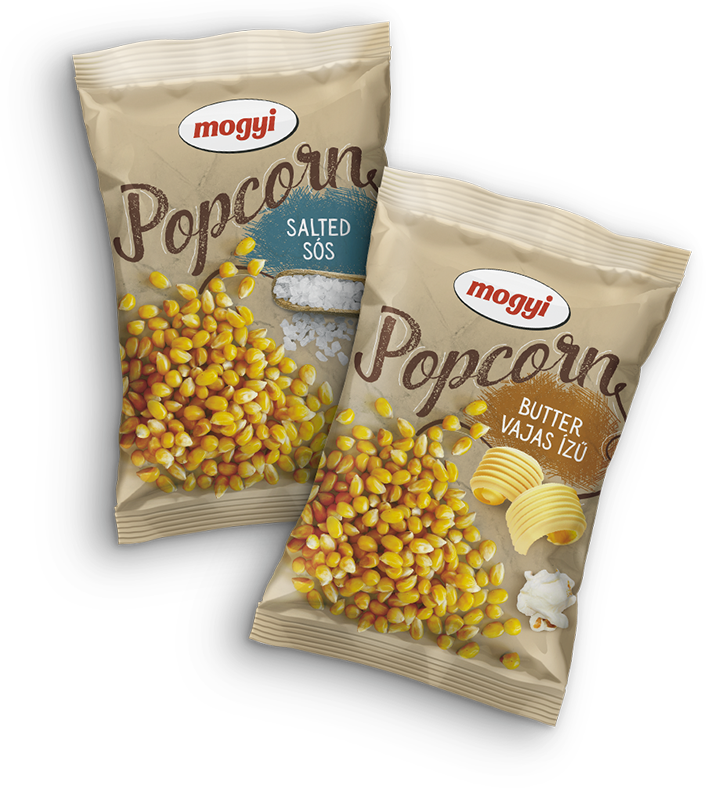 Be it any kind of happy moment, you can find the perfect snack with Mogyi. A real delicacy for the enthusiasts of traditions! – Corn to be popped in salted and butter flavours from Mogyi. It is a must in your kitchen. In case of messages related to product orders, we would kindly ask you to send your company's name, address and telephone/mobile number as well.